All students in the Global Environmental Politics program are encouraged to pursue internships whenever possible. 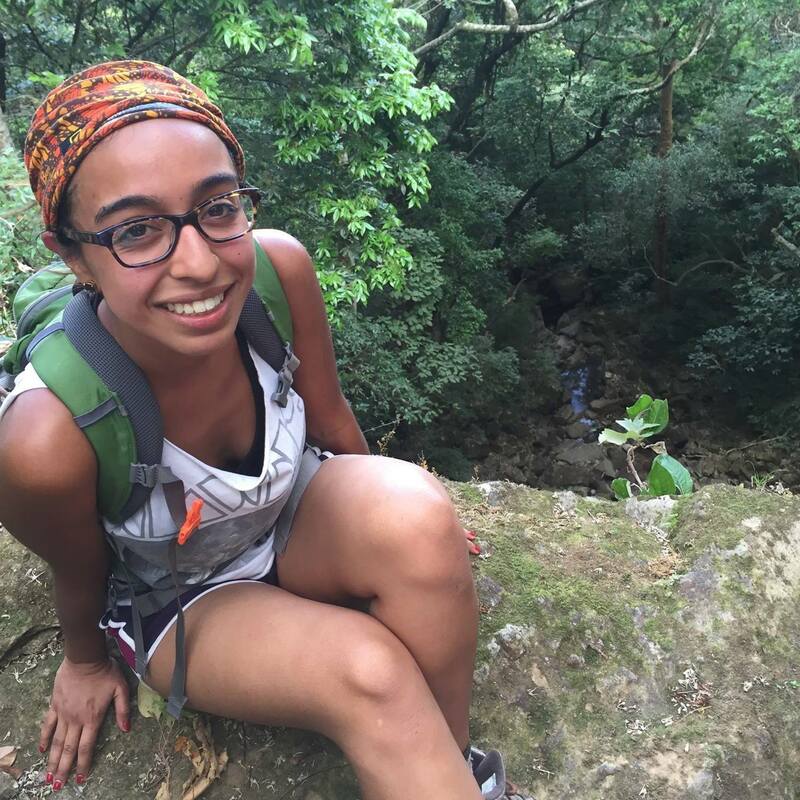 Many students in the Global Environmental Policy (GEP) track pursue internships, while the Natural Resources and Sustainable Development (NRSD) track includes a required three credit summer internship between the first and second year of the program. Click here for a list of past GEP and NRSD internships. All of the 2015 NRSD summer internships are listed below. Following the list, we have posted internship profiles that were provided by a few of our students. Note: Many organizations are located in one country and work in other countries. The country listed is where most of the internship will take place. This may or may not be the country of the organization’s headquarters. Click on each image to view an enlarged version in a new tab. 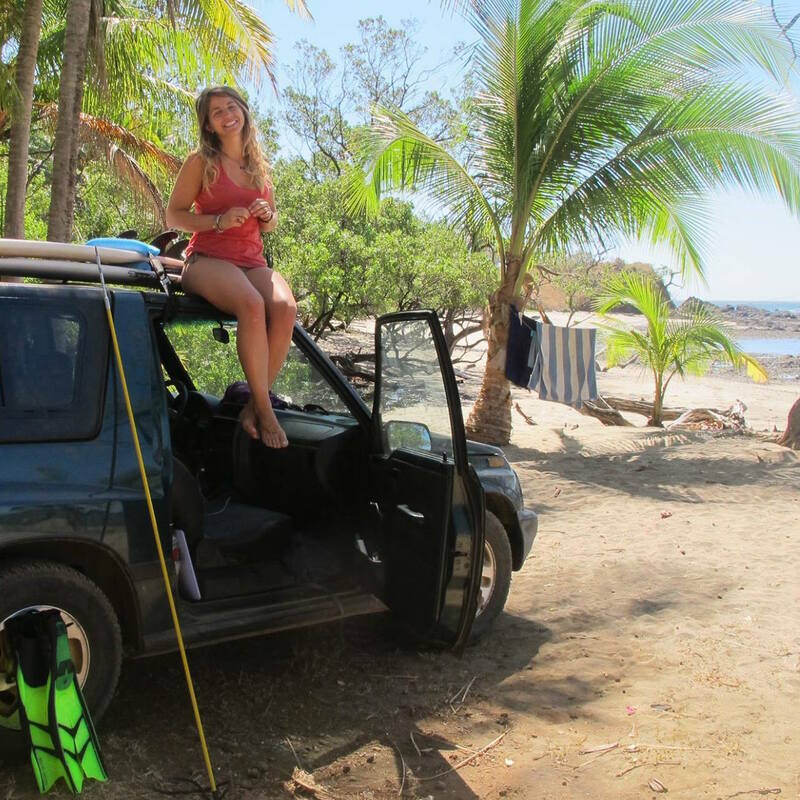 Erin Raser took advantage of a 3 day weekend between intensive 3 week classes to go surfing on Costa Rica’s Pacific coast. I’m interning with Food First, a think tank dedicated to “ending the injustices that cause hunger and helping communities to take back control of their food systems.” My specific position at Food First, also known as the Institute for Food and Development Policy, is a hybrid position. This includes doing office tasks as needed but mostly I work with the Food Sovereignty Tours program and Development and Communications. The Food Sovereignty Tours aspect of my internship includes outreach and marketing for the tours, assembling readers, writing blogs, and conducting research. The other major portion of my internship is working with the Development Director on planning events such as panel discussions, as well as on fundraising and grant writing. Amber Orozco at the top of a waterfall on a hike between Ciudad Colon and El Rodeo, near the University for Peace in Costa Rica. My internship is with Hunger Action Los Angeles (HALA). HALA is an organization that is working to “end hunger and promote healthy eating through advocacy, direct service, and organizing.” They work directly with communities and are involved in city and state policy development. One of my projects this summer with HALA is creating a strategy for more effective outreach for the CalFresh program (CalFresh is California’s version of the Supplemental Nutrition Assistance Program, also known as SNAP). I will also be working on HALA’s Market Match program, which provides $10 in vouchers to recipients of CalFresh, The Special Supplemental Nutrition Program for Women, Infants, and Children (WIC), or Supplemental Security Income (SSI). People who receive these vouchers are able to use them at participating farmers’ markets to buy fruits and vegetables. My work on the Market Match program includes managing the program at farmers’ markets, data collection, as well as conducting surveys for assessing the program’s impact. 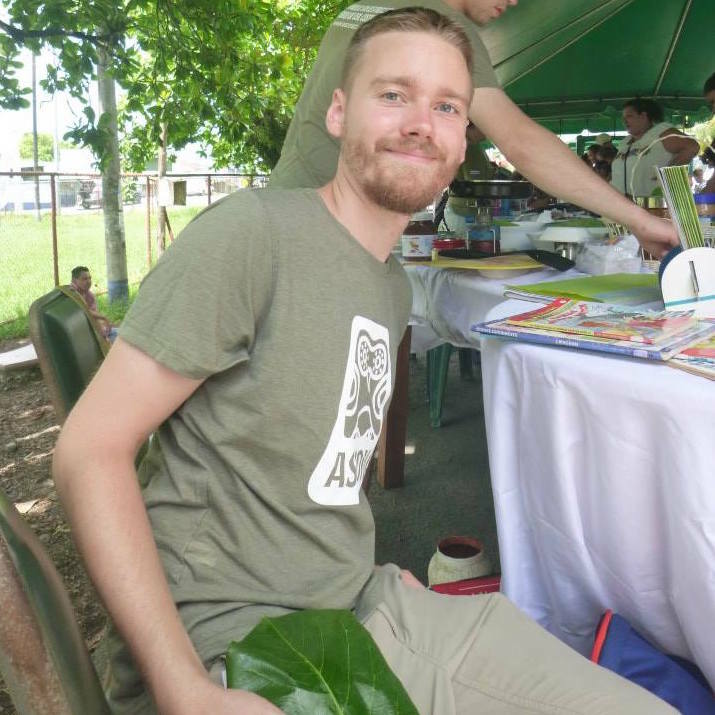 Matt Lehtonen tabling for ASCONA on June 5th, World Environment Day, at an event in Puerto Jimenez, Costa Rica. I’ve been interning this summer with ASCONA (La Asociación de Servicio Comunitario Nacional y Ambiental; English: The National and Environmental Community Service Association) in Puerto Jimenez on Costa Rica’s Osa Peninsula. ASCONA’s work includes supporting environmental education programs in local schools, providing advice and resources to small farmers and local guides, publicizing and denouncing environmental threats, and supporting art and cultural programming in local communities. I have primarily been working to support the EducaOSA program, a relatively new effort by a coalition of small environmental NGO’s (ENGO) to work together to develop and implement regular environmental education activities in local elementary schools. Thematic days (e.g. tree day, mammals, recycling, etc.) are built into the official public school system calendar, and the idea is to leverage the different expertise of the different ENGOs in order to place staff from organizations with related missions in the classrooms on appropriate days. I assist with the development of lesson plans and activities for schools and visit rural schools to implement them with the students. 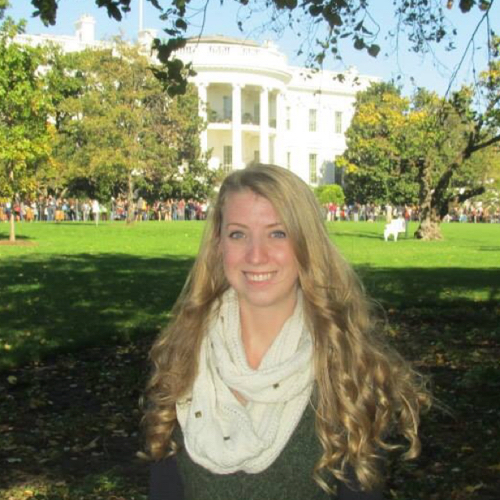 Megan Kemp held an internship with the Council on Environmental Quality, Executive Office of the President during her first semester of the NRSD program at American University. I’m interning with the Center for Climate Change Communication in collaboration with the National Park Service. I’ve been working closely with Catoctin Mountain Park in Maryland to develop climate stories that communicate how climate change affects the cultural resources in the Park. These stories, and how to best tell them, are developed through communication with park rangers, visitors, and the local community. Independent research and literature reviews are also a significant part of the process. The goal of these climate stories is to engage and captivate a wide audience in order to help them understand the far-reaching effects of climate change. These climate stories will be utilized online (Catoctin’s NPS website) as well as in Facebook posts. 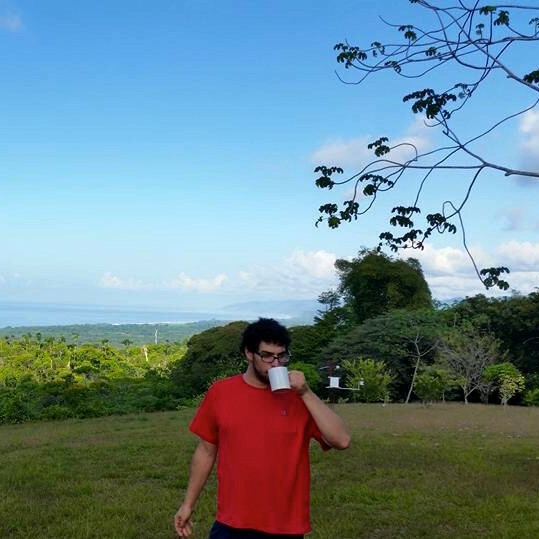 David Gross drinks a cup of coffee on the Osa Peninsula, Costa Rica during a field course on resource management. My internship is with the Anacostia Watershed Society (AWS). The Anacostia River is often called Washington DC’s “forgotten river” since it is overshadowed by the Potomac River, of which it is a major tributary. Poor water quality and invasive species plague the Anacostia Watershed. The river is not considered safe for swimming or for fishing, although a substantial number of people do consume fish caught in the river despite advisories from Washington’s District Department of the Environment. I am helping with AWS’s stewardship program, which includes invasive species management, native plant restoration, and attempting to improve water quality through a variety of techniques (including trash traps, the planting of native species, and reducing storm-water runoff through rain gardens and green roofs). My days are spent collecting data on the efficacy of invasive species management techniques in the watershed, maintaining and collecting data from trash traps, physically removing invasive species, planting native species, installing and maintaining fencing to protect native plants from invasive geese, and working in the AWS plant nursery. Paige Ober’s internship in Uganda has included a home-stay with the Country Director of her organization. 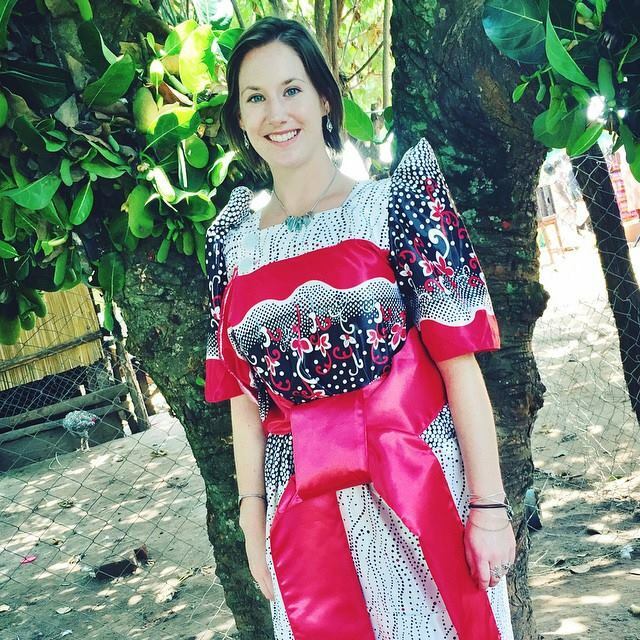 Paige, wearing a gomesi, was included in a traditional wedding ceremony of the Country Director’s younger sister. I’m in Uganda, living and working at Freedom in Creation‘s Center for Sustainability. The Center is a teaching farm that promotes sustainable systems adapted to local technologies. I’ve been spending most of the summer working on a curriculum for teaching sustainable agricultural entrepreneurship to post-conflict community here in Gulu. I also work closely with the farm management to develop plans for the future of the farm with the goal of making it more sustainable.